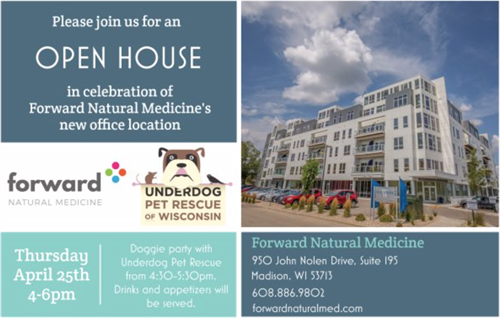 Please join us for an open house in celebration of Forward Natural Medicine's new office location. Doggie party with Underdog Pet Rescue from 4:30-5:30pm. Drinks and appetizers will be served. Bring a guest!